I got a present from RCAF Boundary Bay 1941-1945 Facebook Page. 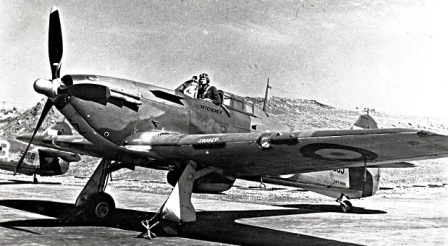 A picture of a Hurricane Mk XII. This is the same type of plane Sgt Grissom was flying on April 15, 1943. Delivered to stored reserve with No. 4 Training Command. Issued to No. 133 (F) Squadron at Lethbridge, Alberta on 3 July 1942. Still with this unit when it transferred to Western Air Command and moved to RCAF Station Boundary Bay, BC on 26 October 1942. Coded “FN*D”. Dove into ground near Boundary Bay on 15 April 1943, and was totally destroyed. I got help from someone on a Facebook group page dedicated to RCAF Boundary Bay 1941-1945. He must have been a new addition to No. 133 (f) Fighter Squadron. I wonder if it was a familiarization flight on the Hurricane? 133 was part of the Coastal Defense for the Vancouver area and not actually a training unit. Linking this information with Mr. Walker’s Website was a struck of luck. © 2007 by R. W. R. Walker All rights reserved under the copyright laws. This is an amateur site – please don’t rely on any of this data for anything important! Created 13 January 2007. Updated 13 January 2007. 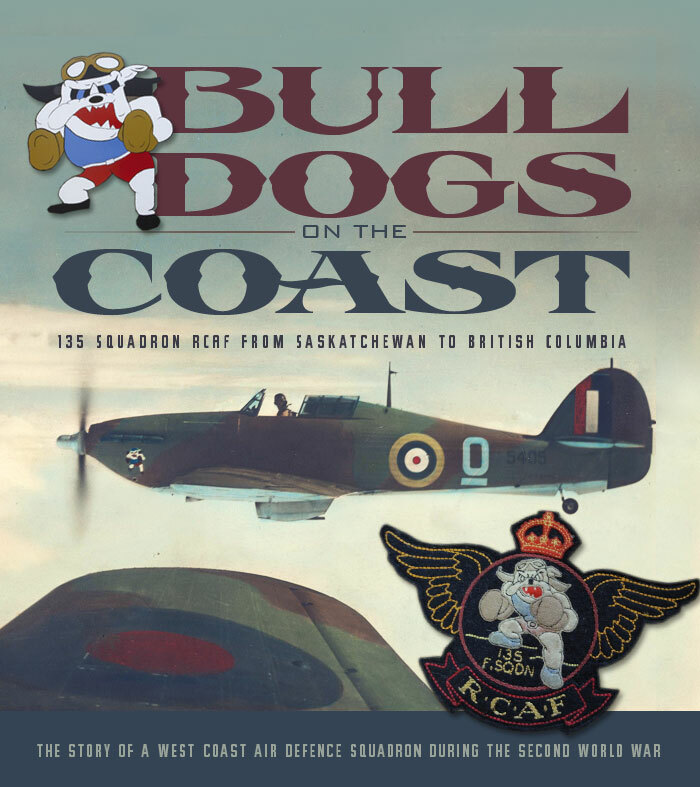 For more on 133 (f) Squadron, this is a great article on Vintages Wings of Canada about 135 (f) Squadron which was a sister squadron to 133 (f) Squadron. LAC Grisholm or LAC Ervin Earl Grissom? Just a name in a logbook? Think again. I found this on the Internet. All entries with the word Hurricane are in red. The loss of training and coastal defence aircraft was not confined to those flying out of Pat Bay. July 27 – An Alliford Bay based Blackburn Shark 4 bi-plane lost a wing during a dive and crashed into the sea, position unknown. The bodies of F/Os Halpenny, Simpson and Richardson were not recovered. Aug. 8 – ­Also lost at sea were the two airmen, names not given, aboard a Northrop Delta 2 which had cleared Coal Harbour. Feb. 21­ – A Royal Norwegian Air Force Northrop N-3PB crashed into the sea off Point Atkinson, killing Flight Pupil Erling Jorgenson and instructor Harald Kruse, both 25 years old. May 5­ – RCAF Tiger Moth 4278 crashed on Telegraph Bay Road with the loss of two unnamed airmen. Nov. 4­ – Stranraer 946 with five officers and crew Vancouver-bound from Penticton never made it. Its wreckage was discovered 10 miles southeast of Squamish in 1947 and a cairn erected at the site. 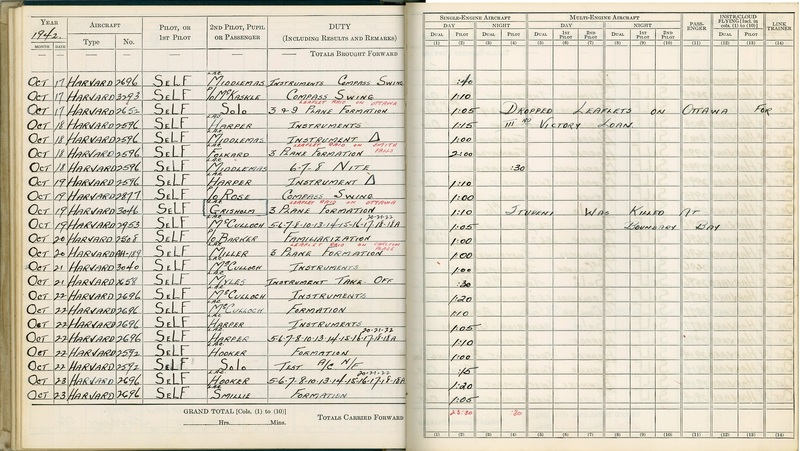 Dec. 27 – ­Only the serial number, 1049, and the name of the pilot, Sgt. C.B. Pierce, are listed in the crash file for this RCAF P-40. Dec. 30 – ­Of the eight men on board this RCAF Stranraer, which crashed a half-mile south of Ucluelet, four died and four survived. Jan. 4­ – Shark 4 No. 518 out of Alliford Bay collided with another Shark and went down between Finlayson Island and Big Bay, near Port Simpson. Two crewmen died but the gunner bailed out. June 20­ – Another Shark, this one off Digby Island, with the loss of F/Ss H.E. Phillips and H.W. Baum. July 6­ – RCAF Hudson 765 crashed on take-off at Whatcom County Airport. This aircraft was salvaged but two the seven airmen on board were killed. July 7­ – Canso 8671 of RCAF 147 (BR) Squadron on a training flight from Sea Island crashed and burned three miles southeast of Sea Island. Killed were F/O D.J. Sterling, Sgt. H.M. Miners and AC1 E.J. Delaney. July 12 – ­A Sea Island Kitty Hawk “spun in and burned,” killing trainee pilot, Sgt. C.L. O’Hara. Sept. 6 – ­Sea Island based Bolinbroke 9114 vanished with its crew of three. The wreck was found in 1966, five miles northeast of Ucluelet. Oct. 2­ – No name is listed for the pilot who died in the wreckage of his P-40 when it crashed and burned in Lynn Valley. He is buried in the Royal Oak Burial Park. Oct. 4 – ­One of the worst accidents in terms of lives lost is that of RCAF Liberator EW 127 that caught fire in the air and crashed into Sansum Narrows during a night navigation exercise. 11 died. Oct. 12 – ­RCAF P-40 #1029, pilot’s identity not given, crashed a mile east of Dall Head on Gravina Island. Nov. 28 – ­There are no listed fatalities for this mid-air collision at Tofino. Harvard 3117, while filming P-40 #722, was struck by the latter and both crashed at the end of the runway. Jan. 16­ – One airman was killed and one survived the crash of a Sea Island Harvard at Aldergrove. Feb. 4 – No casualty report is noted on the file for this Pender Island crash of a Boundary Bay Hurricane. Feb. 14 – ­All six airmen aboard Alliford Bay based Stranraer 935 died while attempting to make a landing in Skidegate Channel. Mar. 6­ – F/Sgt. R.F. Gainforth bailed out and walked out of the bush when his Hurricane went down near the head of Nitinat Lake. Two machine guns and considerable live ammo were recovered in 1963. Mar. 28 – ­No details are given in the crash of P-40 #1037. April 15­ – Boundary Bay based Hurricane 5387 crashed just half a mile east of the airfield, killing trainee pilot Sgt. E.E. Grissom. April 24 – ­A Bolingbroke flying out of Sea Island plunged into the Fraser River a mile west of Mission. Only one of four bodies was recovered. May 12­ – Less than a month after Sgt. Grissom crashed his Hurricane a mile east of the Boundary Bay airfield, F/S E.B. Monypenny did the same with his Hurricane during a dawn patrol. May 27­ – The fate of the crew of RCAF Canso 11017 is not recorded after it crashed in Ucluelet Inlet. They likely survived as their aircraft was recovered, repaired and returned to service. June 12­ – F/Sgt. Scratch died in the crash of his Boundary Bay based Mitchell bomber. July 21 – ­P/O Gow bailed out and was rescued before his Hurricane went down off the northern tip of Vargas Island, Clayoquot Sound. July 27­ – Wreck of P/O M.A. Foster’s P-40 was recovered from 90 fathoms off Point Roberts lighthouse. July 30 – ­Eight airmen died when their Canso struck a mountainside and burned near Bella Bella during a patrol. 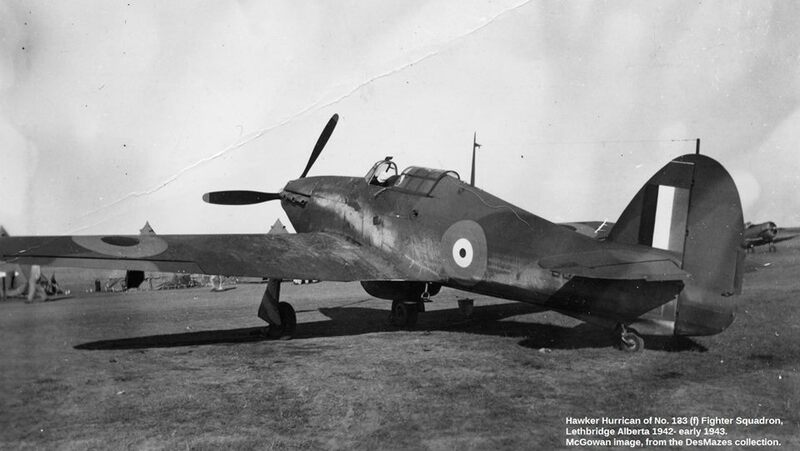 Aug. 1­ – No casualty status given for the loss of this Hurricane off Tofino during an operational flight. Sept. 20 – ­The crash of Bolingbroke 9056 just east of Creston claimed the lives of F/O E.W. Bristol and WO2 J.D. McIntosh. Oct. 22­ – This is an American entry, the loss of a USN Wildcat fighter plane from Whidby Island which crashed in water east of the Saanich Peninsula. Oct. 26­ – One of the most heartrending of this litany of disaster: RCAF Ventura 2193 took off from Annette Island, Al., and crashed near Cape Chacon, Prince of Wales Island. Pilot WO2 G.C. Marshal, P/O A.J. Chandler, F/S H. Chambers and F/S V.C. Arnold survived the impact but had to remain with the wreck as all were injured. They died of starvation, their bodies not being recovered until 1950. Nov. 5­ – A P-40 from Boundary Bay collided with a USN Hellcat during a training flight, east of Discovery Island. Both pilots bailed out but were never found. Dec. 26 – ­Five USN airmen died in the crash of their Ventura at Lawn Point on the Island’s west coast. Their bodies were later recovered. Jan. 8­ – Bolingbroke 9031 ditched south of Tofino after colliding in mid-air; the second aircraft managed to crash-land. Feb. 4­ – This Noorduyn Norseman crashed near Port Alice shortly after takeoff, killing three of its five-man crew. Feb. 7­ – While formation flying out of Tofino, Hurricane 5390 had to ditch in Wickaninnish Bay; F/O F.D. Hague escaped by dinghy. Feb. 8­ – The three airmen aboard Ventura 2275 survived their ditching in Seymour Narrows. Feb. 8­ -There’s obviously more to the story as sister Ventura 2274 also ditched in Seymour Narrows that day. Both aircraft were flying out of Sea Island. Again, the three airman were rescued. Feb. 8 – ­A busy day. Hurricane 5423 ditched off Pachena Point. P/O A.J. Ness managed to escape in his dinghy but was dead when found. May 21 – ­P/O D.K. Sundercock died in the wreck of his P-40, south of Cloverdale. May 29­ – The bodies of the five men aboard Mitchell HD345 are buried at the crash scene on a mountainside in the vicinity of Mount Whymper. July 14 – ­The bodies of the four-man crew of Mitchell HD319 which, like the 345, crashed during a navigation exercise, were never recovered although a prospector found the wreckage northwest of Johnson Lagoon, Rupert District, in 1960. July 18­ – Six died but eight survived when their Sea Island based Dakota crashed in bush at the end of the runway at Port Hardy Airport. Aug. 10­ – Another Mitchell down; this one, shortly after take-off from Boundary Bay on a night bombing exercise, claimed one of six airmen on board. Aug. 16­ – Three airmen walked away from the crash of their Comox-based Expeditor at Germanson Lake near Fort St. John. Aug. 18­ – P/O J.T. Wilkie was picked up after he bailed out of his P-40, northeast of Galiano Island. Aug. 22­ – As was the three-man crew of Dakota FZ596 after they ditched during a navigation exercise. Nov. 1­ – Another mid-air collision, this one between a P-40 and a four-engine Consolidated B-24 Liberator claimed the life of the former’s pilot, F/O J.F. Thomson. Nov. 10­ – One of the worst of the wartime crashes is that of Abbotsford based Liberator KH108 which struck a mountaintop northeast of Nitinat Lake, killing all 10 aboard. Their bodies are buried at the site. Nov. 14­ – 10 more fatalities in the loss of Canso 11017 during a sea patrol out of Tofino. No details are given as to the cause of the crash. Dec. 23­ – Two of the four men aboard survived the crash of their Mitchell at Boundary Bay airfield. Jan. 9­ – Only bits of wreckage and some personal effects were recovered of the 11 persons aboard the Liberator that went down off Bell Island, Rupert District, during a navigation exercise. Jan. 10 – ­It was two Liberators in two days with the loss of EW210 in the sea off Point Roberts. Three of the seven aboard were rescued. Feb. 2 – ­All six aboard Norseman 2470 survived the crash landing of their Norseman on ice near the junction of the Fraser and Chilcotin rivers. Feb. 4­ – This Liberator claimed the lives of all seven of its crew when it struck a mountainside three miles north-northwest of Whonnock. Feb. 8­ – 12 aboard Canso 11007 survived after a broken fuel line forced it to “pancake” at the end of the Tofino runway. April 17 – ­All the more remarkable is that not only did the 21 personnel aboard Catalina JX207 survive, but so did much of the plane’s equipment, which was salvaged when it drifted ashore after making a forced landing in the saltchuck in the Queen Charlottes. June 1 – ­Liberator KK241 struck the west side of Mount Welch, Yale District, at the 7000-foot level; all 11 victims are buried at the wreck site. June 26­ – The same goes for the three-man crew of the Comox based Dakota F2583 whose wreckage was discovered on Washington’s Sulphur Mountain in September 1953. They appear to be the last wartime casualties to die in B.C. skies, for a total of 191 servicemen and 67 aircraft above and beyond those servicemen and aircraft lost while flying out of Pat Bay. Of these, 10,000 trainees passed through Pat Bay Station, 1940-45, the third largest airbase in Canada and able to train 3,500 students at any one time. Total complement of Pat Bay peaked around 5,000, which included 321 RCAF airwomen, eight Nursing Sisters and 112 civilians. Among the support staff were the personnel who manned a fleet of crash boats, so necessary as it turned out. Although Canada is better-known for its naval role, shepherding convoys in the Atlantic that were the lifeline for Great Britain, historian J.L. Granatstein has termed the BCATP to be “the major Canadian military contribution to the Allied War effort” in the Second World War. Of the total cost of $2.2 billion for the program, Canada contributed $1.6 billion and forgave a further $425 million debt owed by Britain at war’s end. Almost ironically, the building of airfields and flight schools across Canada has been described as an economic godsend to communities still suffering from the effects of the Great Depression. Royal Oak Burial Park, Section D contains 58 graves of Canadian, British, Australian and New Zealand airmen. Additional Information: Son of Mr. and Mrs. Earl Grissom, of Lake Charles. Grave Reference: Lot 177. Sec. K.